Baltimore County Councilman David Marks announced on Tuesday that he would recommend downzoning more than 19 acres of undeveloped land along Joppa Road near Chapel Hill Elementary School to block future development. The property is currently undeveloped, but zoned for single-family homes if ever sold. 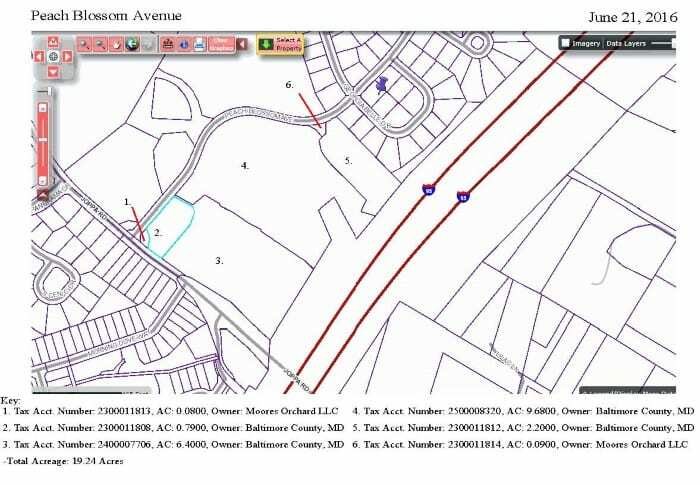 It is located between Peach Blossom Avenue and Interstate-95, near the Moores Orchard, Moores Meadows, and Orchard Crossing neighborhoods. The land is mostly publicly-owned. The land will be zoned Neighborhood Commons, which prohibits any development whatsoever. 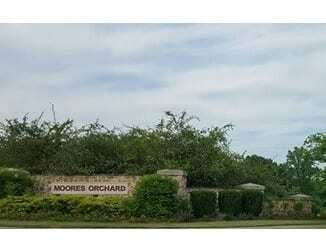 Kim Bankard, president of the Moores Orchard homeowners association, praised the move.